We are writing to you today with many mixed emotions about the state of our country. Prospera is shocked and enraged by the damaging executive orders and important political appointments that threaten to dismantle our basic human and civil rights. We are also immensely inspired by the way so many people are moved to action across race, gender, class, religious affiliation, and immigration status. As an organization led by and for Latinas we feel compelled to speak out not only for our own communities but for all communities affected by such shameful and dehumanising policies that will undoubtedly trigger more acts of hatred. We remember the two million Mexicans and Mexican Americans that were deported or expelled in the 1930’s and well into the 1940’s. We remember the trail of tears, the Japanese Internment Camps, the Chinese Exclusion Act, Jim Crow… and the list continues. Unfortunately, this country is facing yet another extreme wave of xenophobia that comes with the Muslim ban and the promise of building a wall on the Mexican border. At the same time, Prospera is energized by the show of force for women’s rights, for the protection of native people’s livelihood, and for Muslim refugees. This is an important reminder that we are indeed connected in ways that transcend these damaging policies, bigotry and hatred. So much is at stake and so much more is possible when we claim our unique place in this world, and join together to advance fundamental values for human dignity and justice for all. In the face of this new world order, we affirm our commitment to do our part. 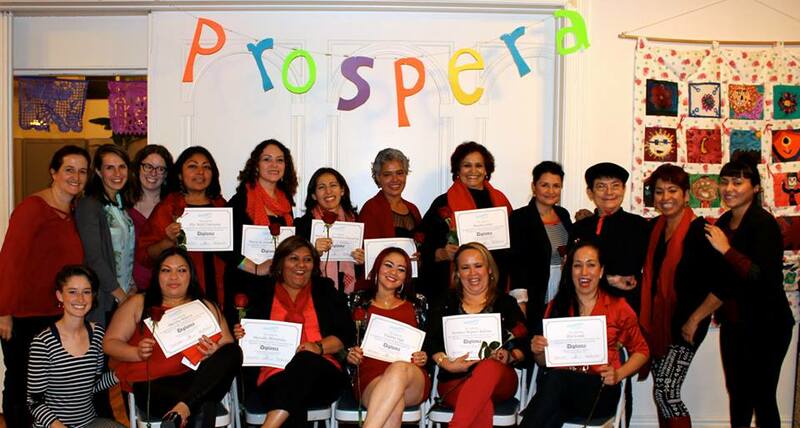 In the coming months Prospera will be taking imperfect action, stepping up our efforts to provide culturally competent training, tools and resources to Latina entrepreneurs across the Bay Area who are poised to create resilient, values based cooperative businesses that benefit all of our communities. We also pledge to extend our hands to other communities by investing in efforts that need urgent support in this critical moment. Please join us in supporting Latina immigrant entrepreneurs to thrive! 5% of all donations collected in February & March will go to the Northern California chapter of the ACLU and to Black Lives Matter Bay Area.